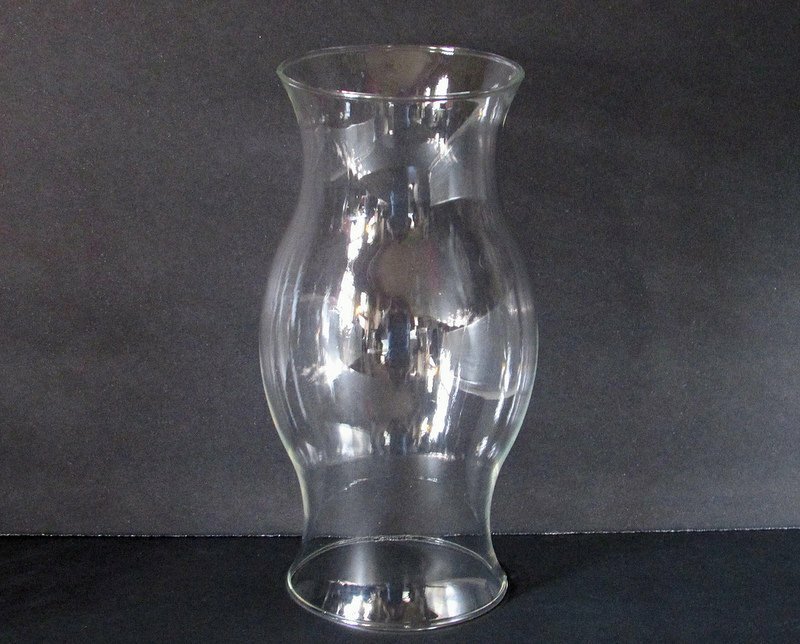 This glass hurricane shade / sleeve is open on both ends for your candle holder or centerpiece. Standing 8.5 inches in height, top rim measures 3.75 inches across and bottom rim measures 3 5/8 inches across, and swells to approximately 5 inches in the center. 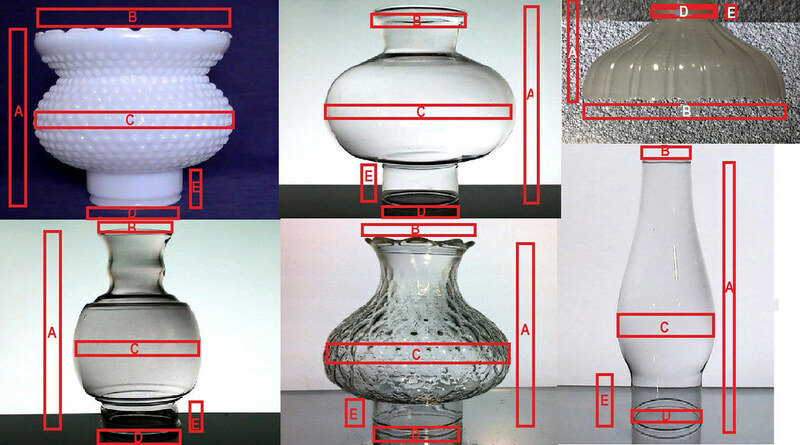 Meant to be used on a flat base or with a small candlestick or pillar on plate inside. 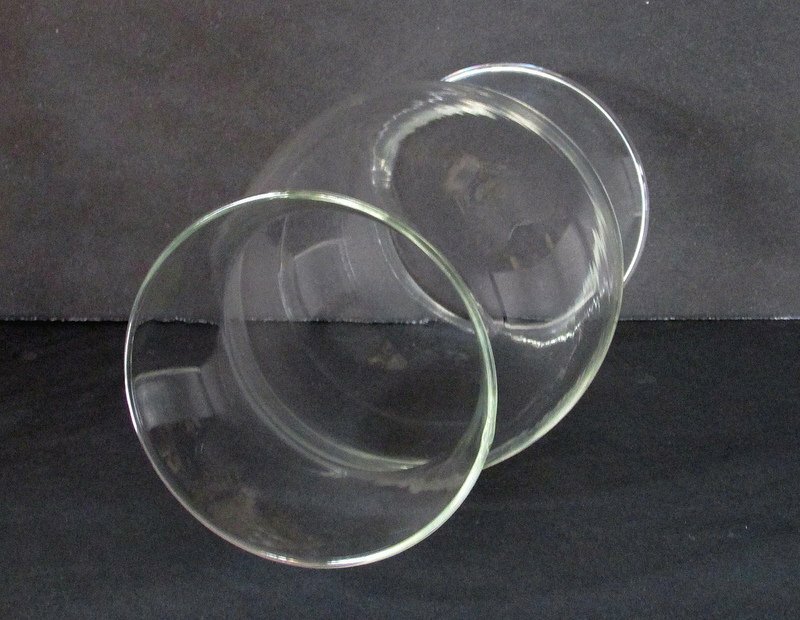 Standing 8.5 inches in height, top rim measures 3.75 inches across and bottom rim measures 3 5/8 inches across, and swells to approximately 5 inches in the center. Meant to be used on a flat base or with a small candlestick or pillar on plate inside. 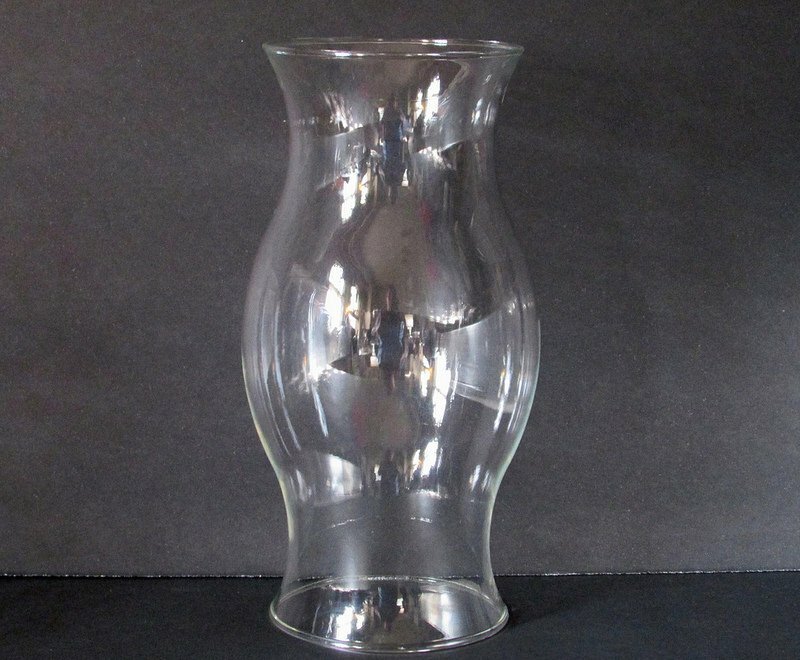 Will add beauty to your centerpieces, candle holders or lamps.